The documented history of the area of Fullerö has been known since the 1200’s when it belonged to Västerås Cathedral. The lands were later owned by King Gustav Vasa and the clan Bååth whence it came by marriage to Axel Oxenstierna. (I think that man or his family has owned every place in Uppland!) Ownership then fell to Director Gavelius, knighted Cronstedt, to be followed by his family which was entailed estate in 1739. 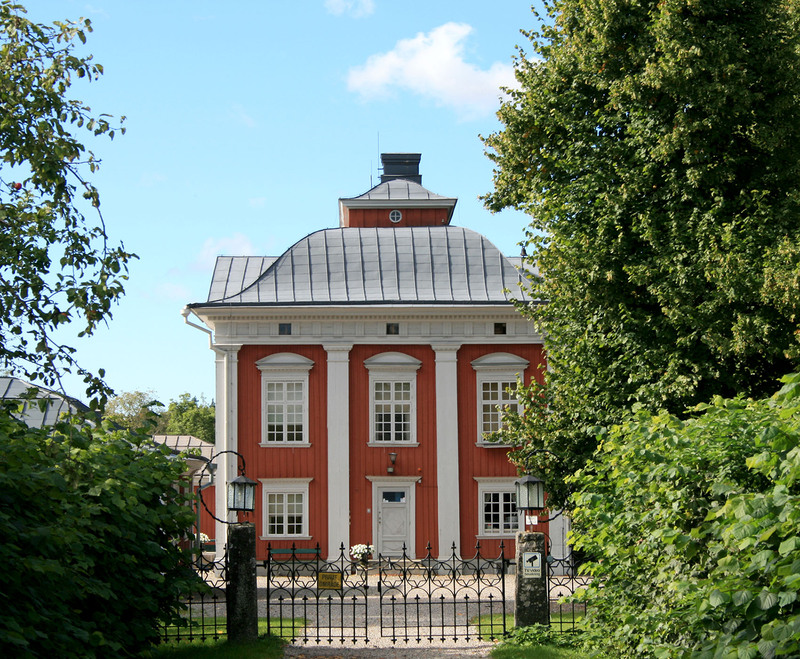 The castle itself, a wooden palatial structure, was built in 1656 by the chancellor Erik Axelsson Oxenstierna. It was probably designed by Jean de la Vallee and is reminiscent of Riddarhuset (Knight House) in Stockholm. The same Wikipedia article gives credit for the design to Nicodemus Tessin the Elder as well, so who knows!